At Pioneer Valley Books, we love doing whatever we can to ensure that teachers have as many quality books in their classroom as possible. We understand, though, that teachers can be constrained by budgets, as well as the physical space limitations of a classroom. Unfortunately, purchasing every Pioneer Valley Books title isn’t always realistic! This is one of the reasons we have created BookBuilder Online (BBO), and now we’ve opened our Teachers Pay Teachers store (TpT). 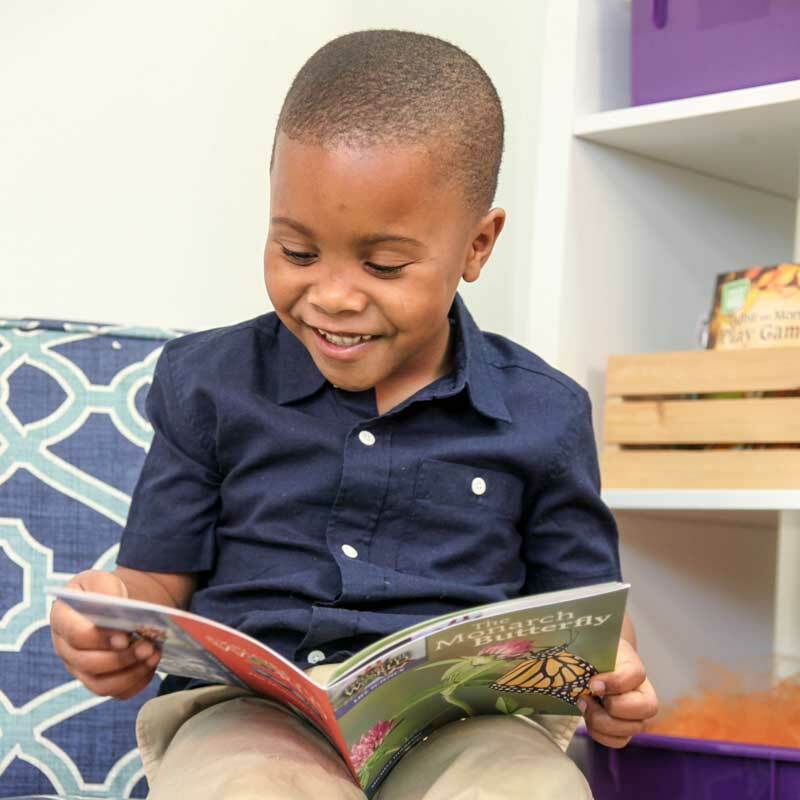 Through BBO and TpT, we’re able to offer free or inexpensive books that teachers can print out and use in the classroom or send home with their students. On both BookBuilder Online and Teachers Pay Teachers, our books can be printed out, either in black and white or in color, and easily assembled. Assembly instructions are included in every story. From “Busy Name,” a free story available on BBO now! If you’d like even more books every month, I highly recommend purchasing a BookBuilder Online subscription. With a subscription, you’ll have access to 80 BookBuilder stories (levels A/1 to I/15), including stories with favorite characters like Bella and Rosie! Until the end of September, you can get 20% off your BookBuilder Online subscription with the code BUILDER16. I hope you’ll take advantage of this sale and check out everything we have to offer. You can learn more and subscribe to BookBuilder Online here. Today on our Teachers Pay Teachers store, we have two new free books for you! 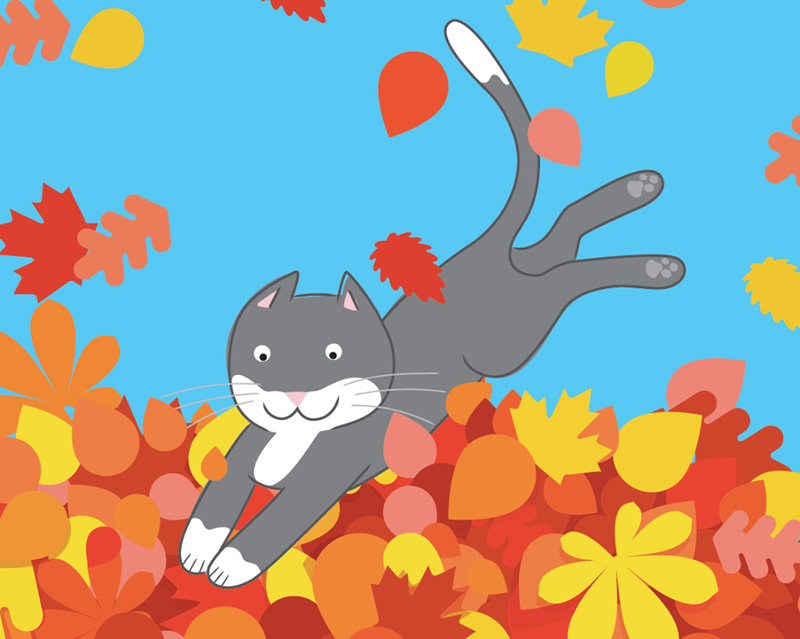 Fall Is Here (A/1) and Fun in the Leaves (B/2) are both colorful, funny books, perfect for beginning readers. I think you’ll really enjoy them. From “Fun in the Leaves,” a new story available for download now from our Teachers Pay Teacher store! You can shop our entire Teachers Pay Teachers store here. To stay in the loop and always know about future sales and new products, make sure to follow Pioneer Valley Books on Facebook, Twitter, and Instagram! Fan Mail of the Month: Thanks, Eliza! We love getting fan mail from young readers here at Pioneer Valley Books! Students write letters to all our characters, but Bella and Rosie are definitely fan favorites around here! 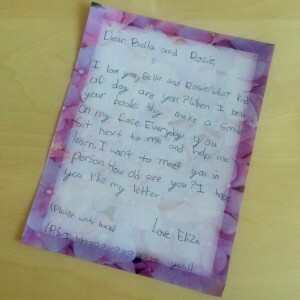 I especially loved this recent letter from Eliza to Bella and Rosie! I love you, Bella and Rosie! 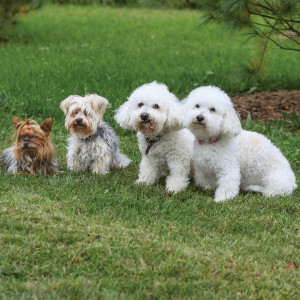 What kind of dog are you? When I read your books they make a smile on my face. Everyday you sit next to me and help me learn. I want to meet you in person. How old are you? I hope you like my letter! Thank you so much for this letter, Eliza! To answer your questions, Bella and Rosie are Bichon Frises! We actually have a book all about this breed of dog. 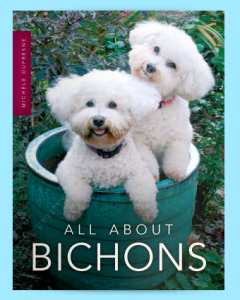 It’s called “All About Bichons.” (Level F/10) Bichon dogs are small, white, fluffy, and very friendly! 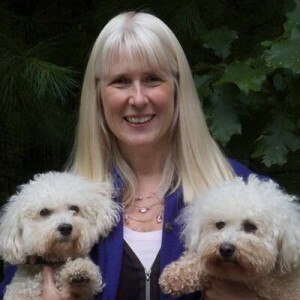 Bella and Rosie are very friendly and funny dogs! They are 16 years old, which is quite old for a dog! We hope you’ll write us again, Eliza! For any young readers who’d like to ask Bella and Rosie, or any of our other over forty characters, any questions, please write us! All information on reaching us can be found on the Contact Us page of our website! Get back into the school spirit with BookBuilder Online! It’s September, which in our world only means one thing: back to school! 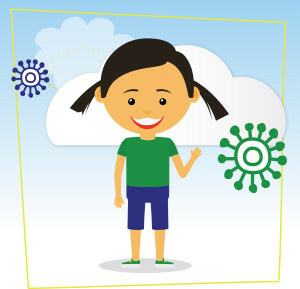 Our BookBuilder™ Online tool is such a great resource for getting kids excited to be back in school. 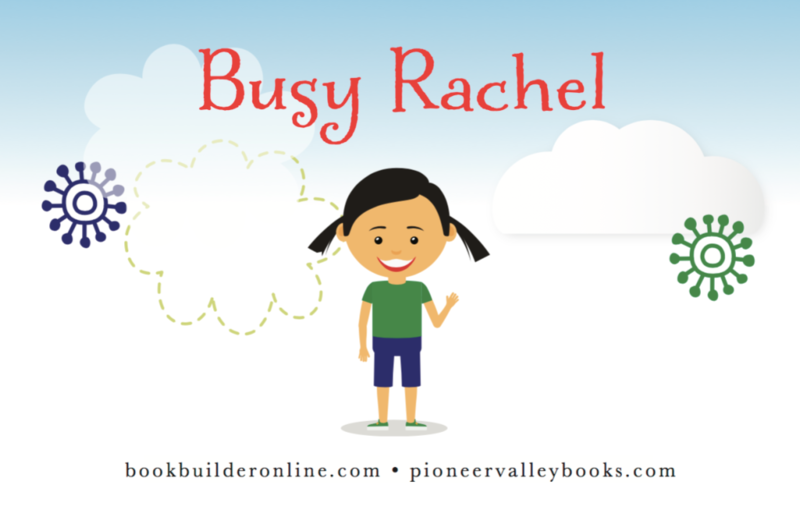 BookBuilder™ Online is a fun, easy way to personalize stories for young readers. Just insert the student’s name and the names of important people in the student’s life and print out an adorable new story! The printed pages are easily assembled into a small book. Kids love reading their own name in stories! Personalized stories are a great way to get reluctant readers engaged. BookBuilder™ books can be printed off anytime, these books are easy to send home with kids so they can continue reading at home with parents or siblings. We have two new cute stories for the early readers you’re working with this month! “Busy” is a level A/1. “Helping Out” is a level B/2. This month, we’re offering a special 20% off subscriptions to BookBuilder™ Online! Through September 30, 2016, get 20% off your subscription with the code BUILDER16. You can subscribe to BookBuilder™ Online here! 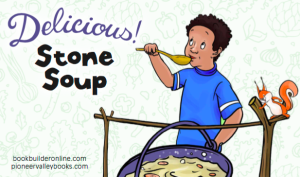 Every month, we create two free, printable books and make them downloadable via our BookBuilder Online. For August, we’ve got two awesome new stories for you! You can download these free books, and many more, here! 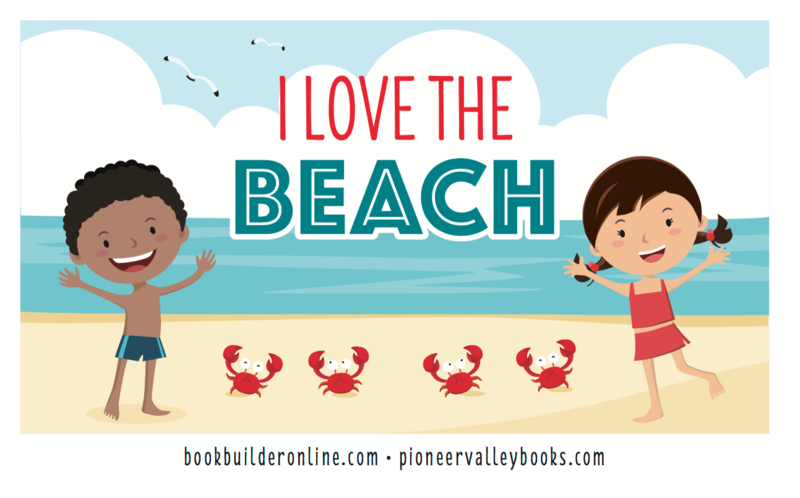 Our July BookBuilder Books for You! Every month, we create two free, printable books and make them downloadable via our BookBuilder Online. For July, both of our stories are about summer vacation! Our first story is “The Summer Book Report.” (Level 18/J) Kids can insert their own names into these stories to personalize them. 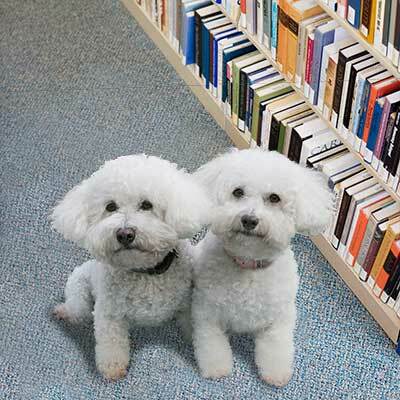 Fans of Bella & Rosie will especially love this story! 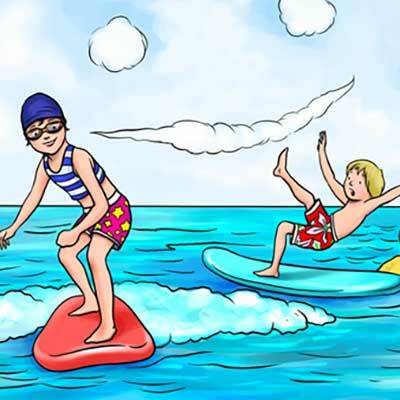 Our next story is “The Surfing Lesson.” (Level 14/H) Kids will love this funny little story about learning to surf the waves like a pro. You can download these free books, and many more, at BookBuilder Online. June Teaching Tip: Forget the 100-Word Rule! Last week, the principal of our local school asked me what I thought about the district’s mandate that kindergartners learn a list of 100 words. Did I think it was appropriate? The short answer? No! I see how confused educators are about how to reach that goal. Many teachers try to divide the word list over the course of the school year. Each week, students go home with a section of the list and practice the words diligently with their families. Would you be surprised to discover that students forget the words from the previous week as they try to learn a new set? So what is appropriate to teach kindergartners? Young children need to learn that reading is fun, engaging, and something they are successful at. Nothing is worse than discouraging children and making them feel like they are failing. We cannot have a one-size-fits-all curriculum. Literacy learning needs to be meaningful and appropriate. Children who have a limited background with texts need to experience the power and joy of real books. Learning a core of sight words is important, but the words need to be selected carefully and taught responsively. Marie Clay tells us that “New words will be acquired through reading books and others will come from daily writing” (Literacy Lessons: Part 2, page 40). The words you teach should be ones kindergartners see frequently in books and want to use in their writing. For some students, learning the first few words may come quite slowly. They need to develop a system for remembering. If you try to teach too many words at once, you will just create a huge muddle. How about this? Instead of a kindergarten goal of learning 100 specific words, give them a goal of reading 100 books? Maybe even 180 books? One for each day! That’s a goal that all kindergartners can achieve, whether they’re at the beginning of their journey as readers or well on their way to proficiency. 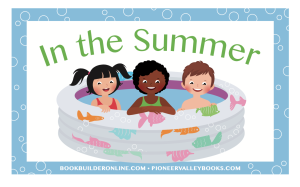 For more teaching tips delivered right to your inbox each month, sign up for our Pioneer Valley Books newsletter! A Free Calendar for You! Wow, June is already breezing past us! It seems like it just began. How is it already the 13th? If you’re as shocked to hear about today’s date as I am, then maybe you need this free calendar we’ve made for you! 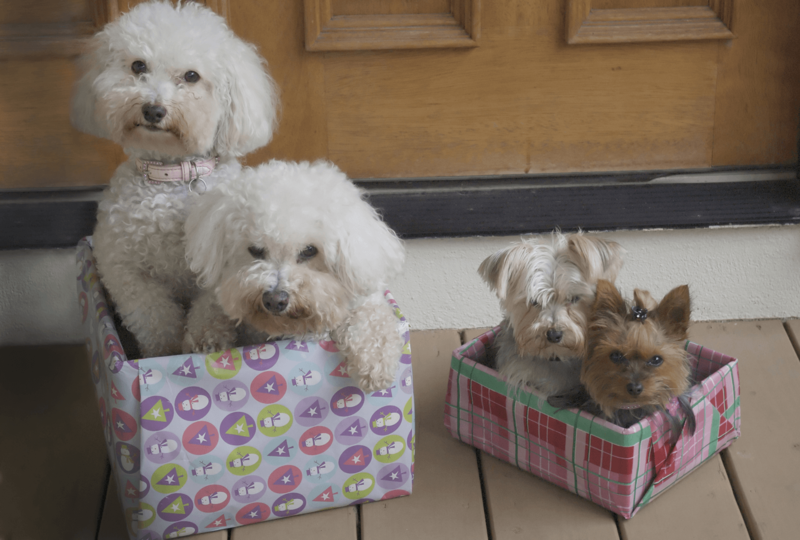 Every month, our talented production team creates free, downloadable Bella & Rosie calendars. They’re always available on our Teachers Pay Teachers store! You can download this calendar, and more fun stuff on our Teachers Pay Teachers store today! It’s Summer, and We’ve Got Free Books for You! Every month, we create two free, printable books and make them downloadable via our BookBuilder Online. For June, both of our stories are about summer fun! 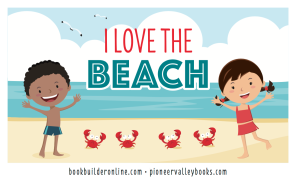 Our first story is “I Love the Beach.” (Level 5/D) Kids can insert their own names into these stories to personalize them. In this story, a boy and a girl go to the beach for a day of adventures! The second free story is, “In the Summer.” (Level 2/B) In this story, two boys and two girls talk about the things they love to do in the summer, like hiking or jumping on a trampoline. Kids love seeing their own names in stories, and parents and teachers alike love how easy these books are to print out and assemble! You can download these free books, and more, at BookBuilder Online. I recently read this interesting study, and thought I’d share my thoughts here. In the study, University of Kansas researchers Betty Hart and Todd Risley got to know 42 families from various socio-economic backgrounds. After four years, Hart and Risley were able to assess the ways in which daily exchanges and conversations between parents and children shape a child’s language and vocabulary development. The results of the study were more severe than the researchers anticipated. Observers found that 86 percent to 98 percent of the words used by each child by the age of three were derived from their parents’ vocabularies. Furthermore, not only were the words they used nearly identical, but also the average number of words utilized, the duration of their conversations, and the speech patterns were all strikingly similar to those of their caregivers. After establishing these patterns of learning through imitation, the researchers next analyzed the content of each conversation to garner a better understanding of each child’s experience. They found that the sheer number of words heard varied greatly along socio-economic lines. On average, children from families on welfare were provided half as much experience as children from working class families, and less than a third of the experience given to children from high-income families. In other words, children from families on welfare heard about 616 words per hour, while those from working class families heard around 1,251 words per hour, and those from professional families heard roughly 2,153 words per hour. Thus, children being raised in middle to high income class homes had far more language exposure to draw from. This study highlights an enormous challenge we face as educators. Children enter our classrooms with significant discrepancies in not only knowledge, but also their skills and experience. Follow-up studies showed that these differences in language and interaction experience can have lasting effects on a child’s performance later in life, as well. If children from high-income families are being exposed to 30 million more words than children from families on welfare, educators must adapt and find a way to best serve each individual child. Have a great holiday, from all of us here at the Dufresne house! PS If you haven’t downloaded our free June Bella & Rosie calendar, you can get it here!